Brand: Chefmaster CFM-4213 Units: 2 oz. bottle Oil-based color made specially for chocolate or candy coating. Cake colorings are water-based and may ruin your candy. If trying to make a color darker, start with a lighter shade of the color you want to achieve. Example: If you are wanting royal blue, start with blue candy coating and add blue candy color. Too much coloring can give the candy a bitter taste and color teeth. When adding color, the candy may thicken and paramount crystals may need to be added. 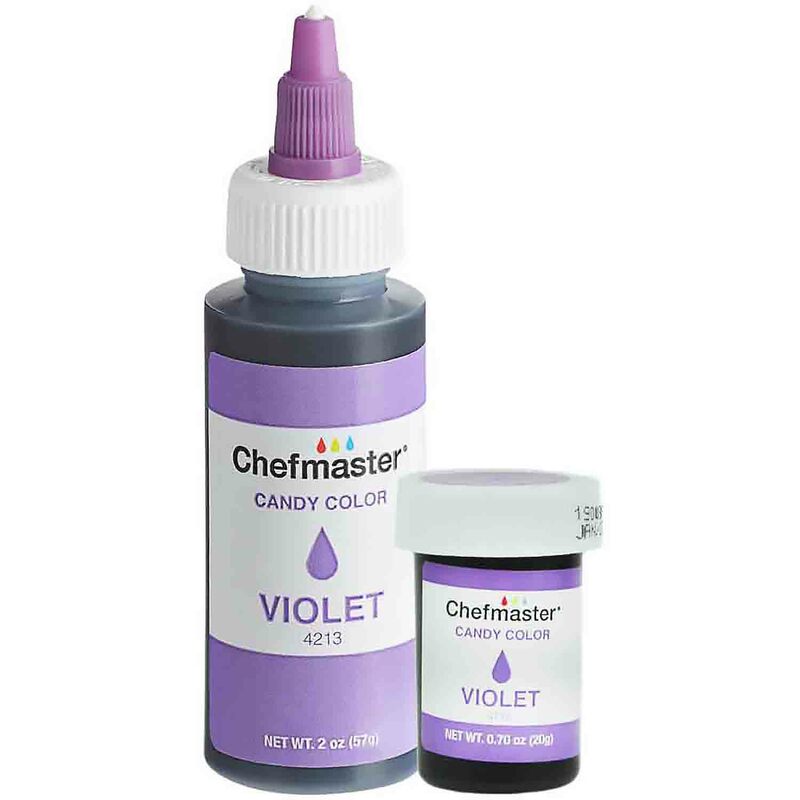 Oil-based color made specially for chocolate or candy coating. Cake colorings are water-based and may ruin your candy. If trying to make a color darker, start with a lighter shade of the color you want to achieve. Example: If you are wanting royal blue, start with blue candy coating and add blue candy color. Too much coloring can give the candy a bitter taste and color teeth. When adding color, the candy may thicken and paramount crystals may need to be added.